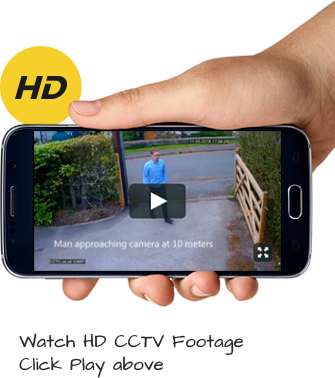 There is 1 camera for every 14 people according to the British Security Industry Authority (BSIA). So, if we apply these figures to the 9m population figure for London in 2020 this works out at 642,000 cameras in the Capital in 2020. As a rough estimate, we can say that there are around 500,000 CCTV cameras in London in 2017. This figure estimated by using a research project by Michael McCahill and Clive Norris of Urbaneye, a comparative project on CCTV in Europe. The researchers undertook a small sample of CCTV cameras in Putney, south-west London, and extrapolated that figure to the wider London area, coming to the 500,000 mark. Given that many CCTV cameras are not operated by councils and other government bodies but by private businesses and individuals instead, a specific, concrete figure showing the total number – operated by public and private parties – is hard to ascertain. However, in 2011 the BBC made Freedom of Information requests to almost 100 local authorities in the UK to ask how many cameras they operate, finding that the number of cameras in London operated by councils stands at 7,431. Interestingly, the borough of Wandsworth was found to have the highest number of CCTV cameras in London, with just under four cameras for every 1,000 people. The borough’s 1,113 CCTV cameras is more than those operated by the police departments of Boston, US, Johannesburg and Dublin put together.